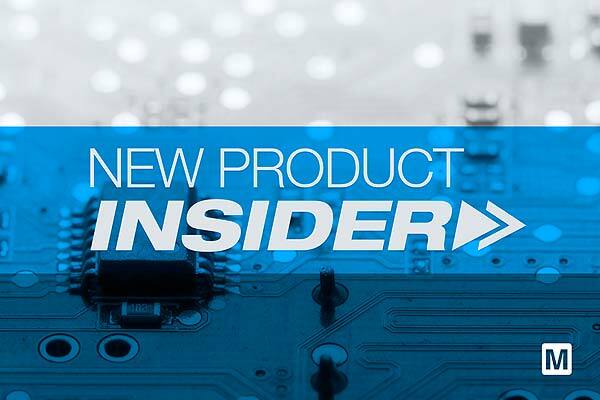 Last month, Mouser launched more than 362 new products ready for same-day shipment. Offering easy access to up to 36 general-purpose inputs and outputs (GPIOs), the low-cost PSoC 6 BLE Prototyping Kit offers a turnkey solution that adds Bluetooth® Low Energy 5.0 connectivity to Internet of Things (IoT) applications. Melexis MLX90378 monolithic magnetic position processor ICs consist of a TRIAXIS GEN III Hall magnetic front end, an analog to digital signal conditioner, a DSP for advanced signal processing, and a dual-output stage driver. exceptionally long lifetime for reliable, energy-saving replacement for mercury lamps. Molex QSFP-DD (Double Density) interconnect system features an eight-lane electrical interface that transmits up to 28 Gbps NRZ or 56 Gbps PAM-4 (up to 200 Gbps or 400 Gbps aggregate).